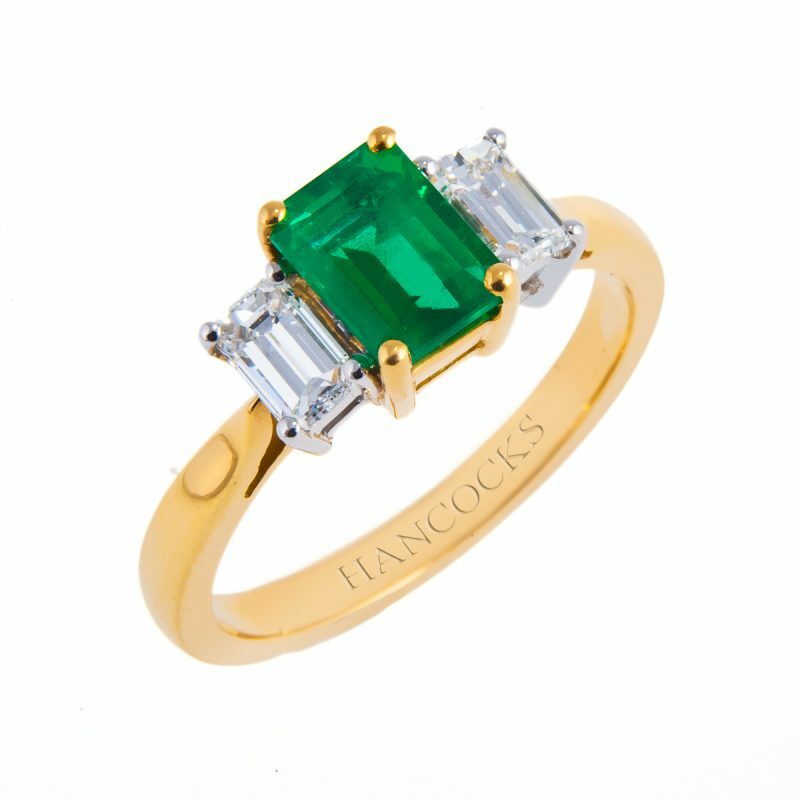 Emerald and diamond 3-stone ring, a rectangular emerald supported by 2 trapeze cut diamonds, all in a platinum claw setting with the emerald picked out in yellow gold. 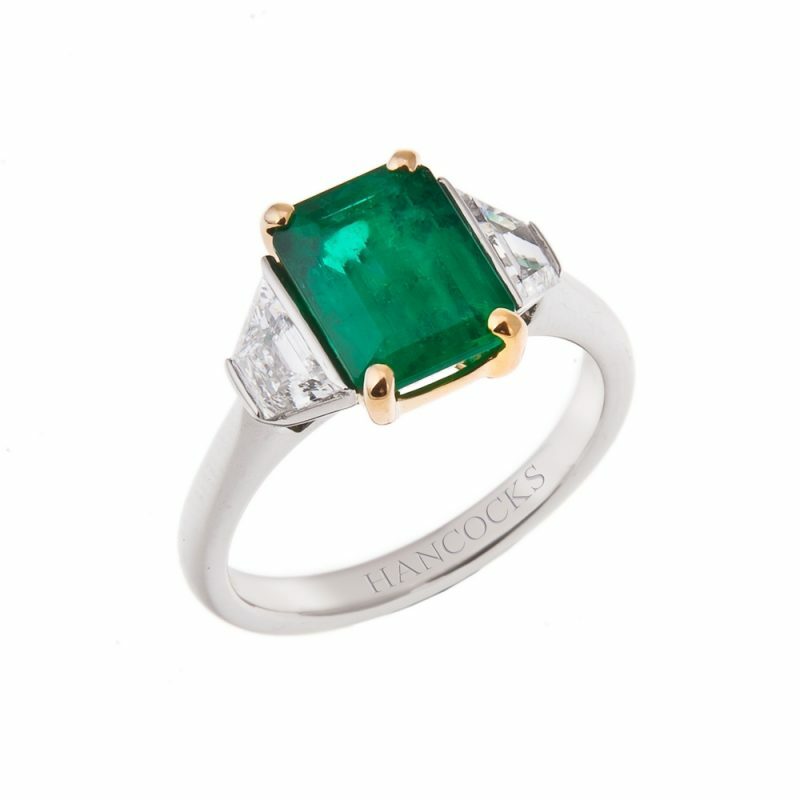 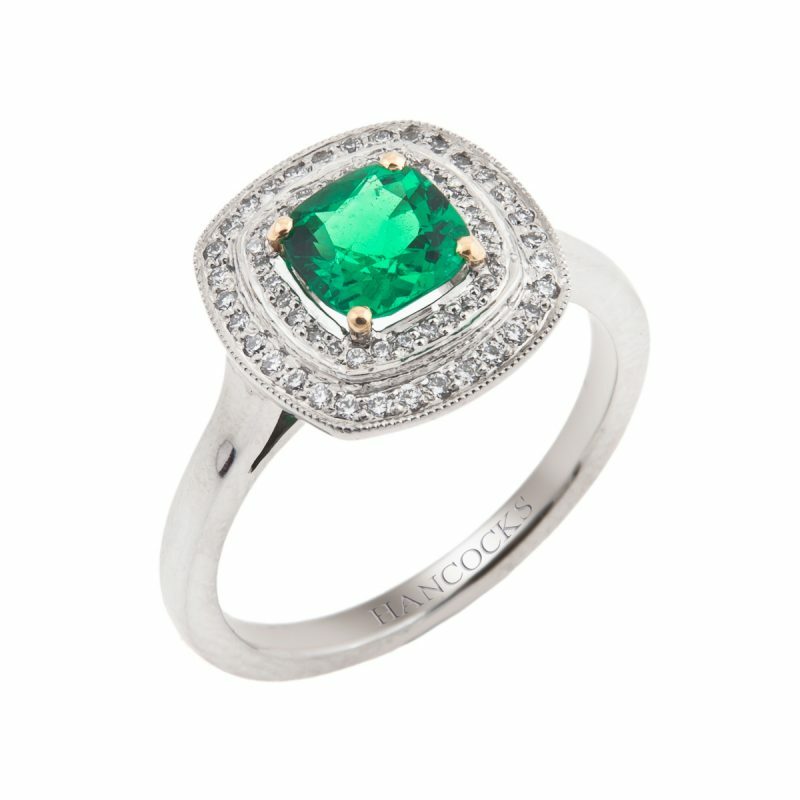 This unique emerald has a strong, vivid green colour, evenly distributed throughout the stone. 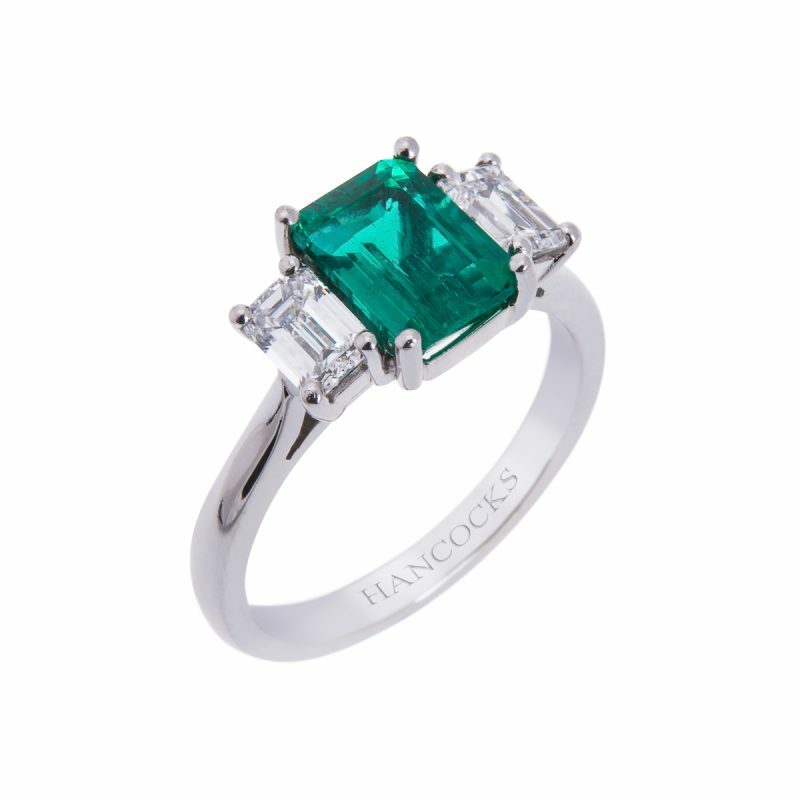 Hancocks have chosen to set simply in a timeless design. 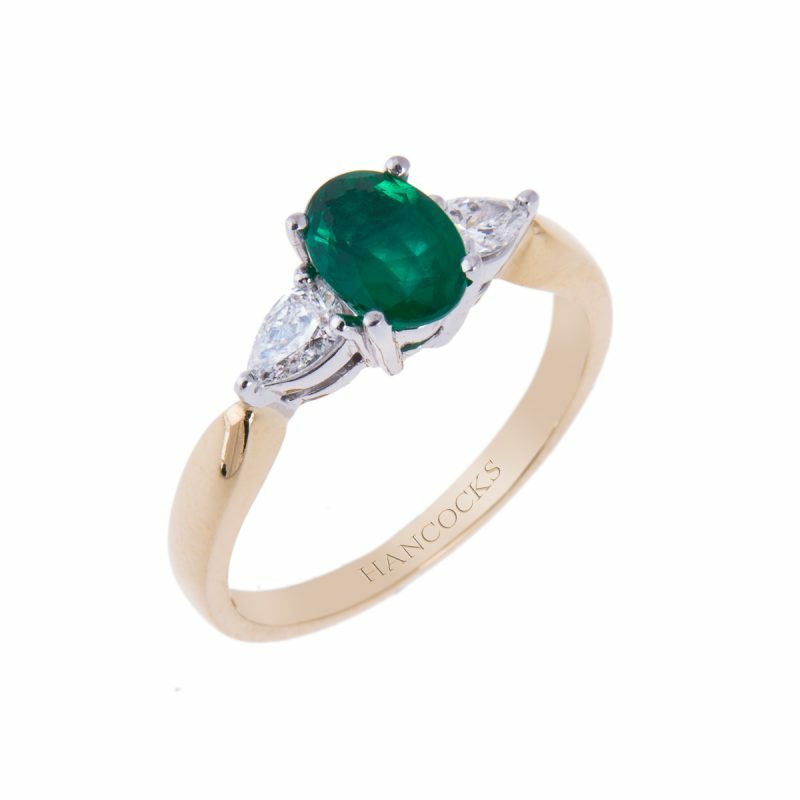 Please contact us if you would like to see this beautiful ring.